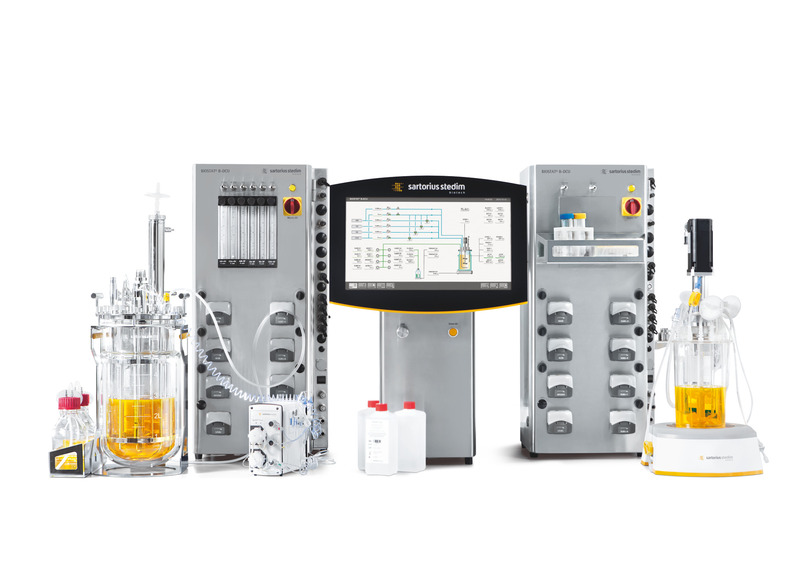 The BIOSTAT® B-DCU is a fermenter | bioreactor specifically designed to accommodate the requirements of process optimization and characterization in the biotech and biopharmaceutical industry. It provides enhanced functionality and an unrivalled level of options for cell culture and microbial processes making it the ideal scale-down model for your large scale process. Reveal more information about your process and increase manufacturing efficiency and productivity. Facilitate development of advanced, automated process control strategies to improve titer as well as quality and to reduce human error. Mimic your large scale process control approach and generate representative data. Benefit from our fully flexible aeration and feeding options. Easily connect your BIOSTAT® B-DCU to our BioPAT® MFCS or third party supervisory software like DeltaV™. Straightforward integration into existing automation infrastructure provides you with data consistency across scales and throughout the entire development process. Reliable technologies ensure hassle-free process optimization and characterization. Benefit from our decades of experience in the biopharmaceutical industry. Connect your Sartorius Cubis®, Quintix® or Secura® balance and other Sartorius standard balances. Freely select a combination of intelligent mass flow controllers with a 1:200 flow range, gas switches and flow meters for each gassing line.